After your rug has been professionally cleaned by the team here at Woods Rug Laundry, the colours and the patterns in the weave are brighter and more vibrant. This condition is one you want to keep for as long as possible. However, it might seem impossible, especially if your rug is in a high traffic area. So here are our 6 tips for making that beautiful just cleaned look last. There is no getting around it, shoes are hard on your rug. They track in dirt and other debris into your home and into your rugs. This can not only dirty your rugs but also wear down the fibres. Wearing shoes on your rug can make them look much older than they actually are. This diminishes the benefits of the rug clean. So make your home a no shoe zone. 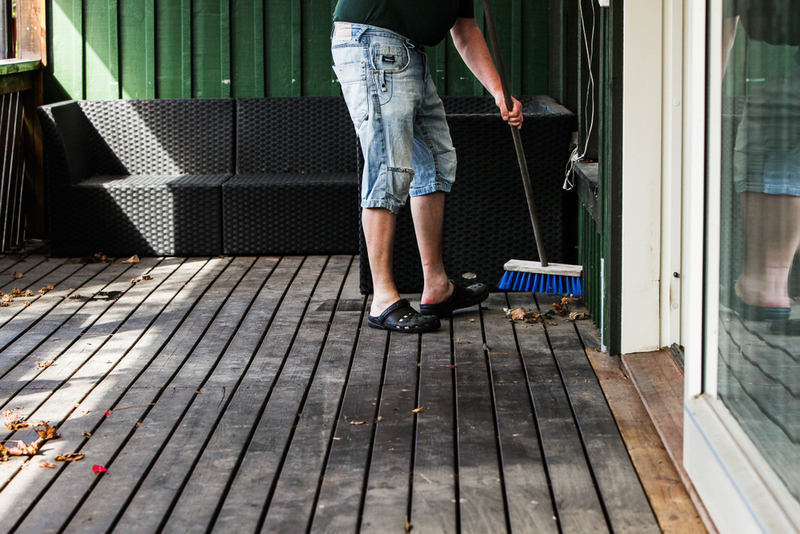 Encourage children, family members and guests to remove their shoes at the front door. In colder months, wearing slippers inside is a great – and far more comfortable – alternative to shoes. Careful and frequent vacuuming of your rug with good quality vacuum goes a long way. It keeps excess dirt and dust out of your freshly cleaned rug. It is a great idea to frequently vacuum your rug. 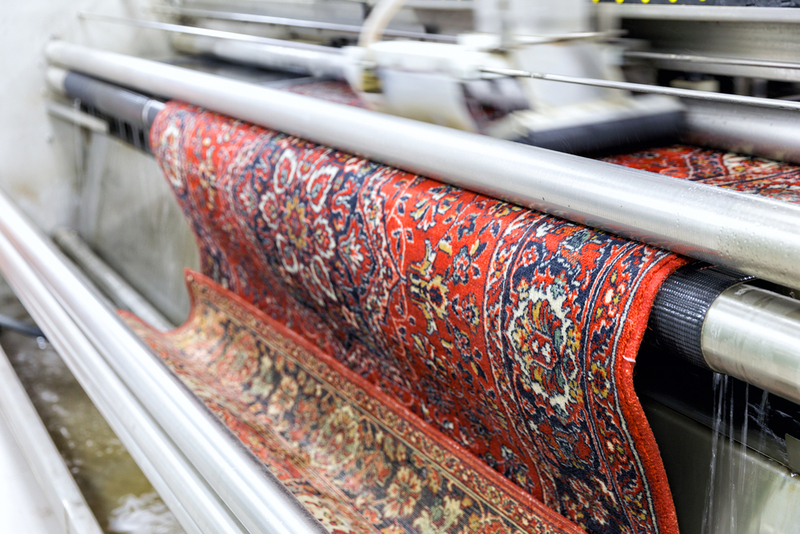 If your rug is in a high traffic area it is best to vacuum it at least once a week. This removes as much dirt as possible that is drawn and dragged into the house. Fading is one of your rug’s greatest enemies. This is caused by spending too much time in the sun, which can bleach the dyes. This results in the rug making it appear washed out and faded. For most rug owners it is next to impossible to avoid any sunlight hitting their rug unless they keep the curtains closed all the time. As a result, we recommend rotating your rug in order to prevent fade setting in dramatically in one place. Further, rotating your rug also helps you prevent wear to the pile caused by foot traffic hitting the same area of the rug over and over again. Cushioning your rug with an appropriate underlay can also help this, as well as keeping furniture off your rug. Or, again, rotating your rug so that the same areas of the rug are not constantly supporting heavy pieces of furniture. 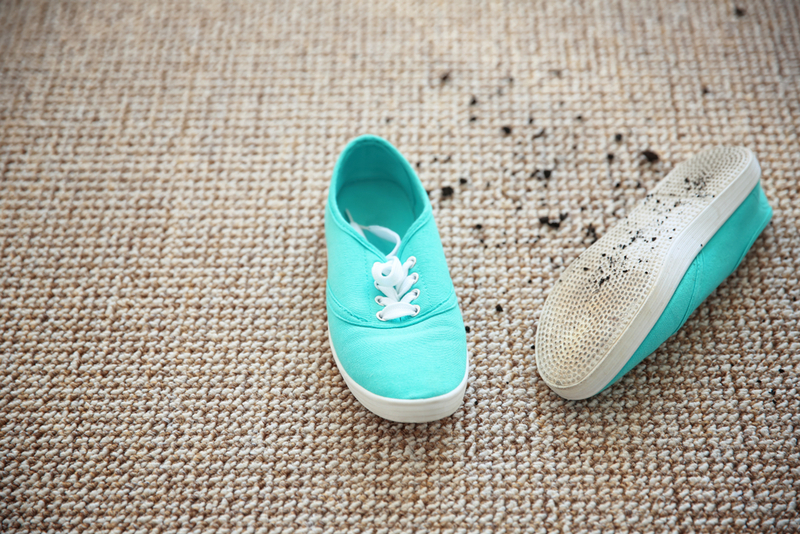 If the entrances to your home are dirty, then anyone entering is going to track dirt inside – especially if you don’t feel comfortable asking visitors to take their shoes off. This is especially the case in winter, when the weather can get especially dirty and muddy. Regularly sweeping and washing down the entrance to your home can help keep these areas clean and, as a result, keep the inside of your home clean – especially your rug! Pets are members of our family but, like all members of the family, they can cause a mess inside your home. If your pets spend a lot of time outside, when coming inside, they may wipe dirty paws and faces on rugs – mimicking what they would do outside on grass or brush. Further, accidents do happen, and pet urine is one of the fastest things that can discolour and damage a rug. We always recommend you dry your pets off and wipe their feet before they come inside. Further, make sure your pets are properly house broken. Give them frequent toilet breaks to avoid accidents happening on your rugs! Finally, getting your pets regularly groomed also helps keep down the amount of pet hair that can find its way into your rug. Animals shed throughout the year, changing their coat through the season but also losing old hair just like we shed hair daily. Regular brushing and grooming can help keep this shedding controlled, reducing the amount of hair caught in your rugs. To extend the lifespan of your rug it is important to continue to have it regularly cleaned, especially for rugs in high trafficked areas that should be professionally cleaned yearly. This prevents soil building up too much in your rug, causing it to grind into the fibres, wearing them away and causing irreparable damage. It also means your rug will look nicer and cleaner, longer, and it removes harmful allergens and potential molds from your rug that could impact your health. If you would like to have your rug cleaned by the professionals at Woods Rug Laundry you can book in today using our handy online booking form. And our fantastic pick up and drop off service means getting your rug professionally cleaned is easier than ever! Contact us today for a quote or book now!